Low profile encoder range available from Variohm Eurosensor for accurate positioning and speed control in harsh conditions. The recently launched LP series low profile encoders from BEI Sensors is designed for high reliability position and speed feedback in harsh and challenging environments. Available from BEI’s UK distributor, Variohm EuroSensor, the IP66 rated encoder utilises innovative sensing technology with a choice of incremental or absolute single-turn output that allows for accurate position and speed feedback for demanding applications in industrial manufacturing, processing industries, agriculture, oil & gas and building automation. The impressive environmental specification includes temperature extremes of –40 to +100C and thanks to encapsulated electronics, shock is rated to 3000 m/s2 (5 ms 1/2 sine) with vibration to 200 m/s2 (55 to 2000 Hz). 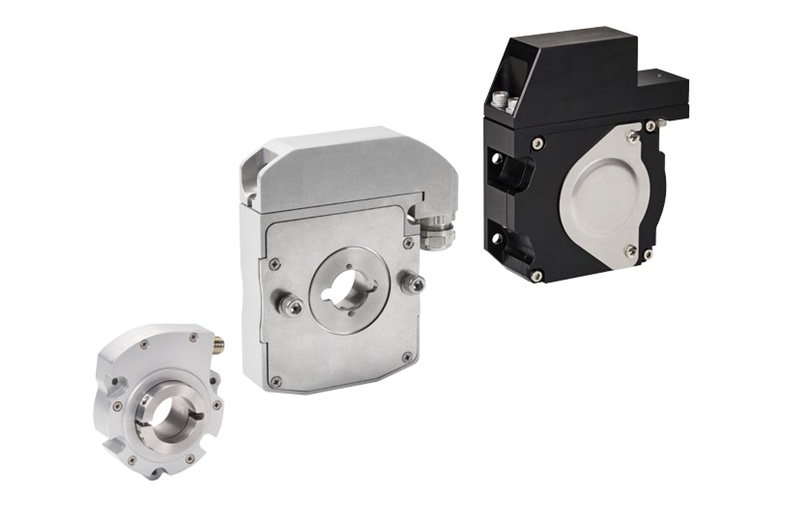 The LP series features an aluminium housing with a nominal square size of 90 mm and is offered in three model variants with programmable resolution versions and a wide choice of shaft interfacing and electrical termination options. A compact cable or connector version facilitates straightforward installation in confined spaces whilst a terminal box option makes safe pre-wiring a possibility. Both these options are offered with a width of just 26 mm whilst the third version is a 51 mm wide ATEX-IECx rated explosion proof model with a terminal box. Incremental encoder versions have HTL-TTL outputs with a maximum resolution of 10,000 ppr and are optionally available with a programmable resolution which also provides commutation channels. Absolute versions feature a single turn resolution of up to 16-bits with an SSI output – also available as a programmable option. Enhanced electronics options on some models provide protection against miswiring, overvoltage protection up to 60V, and strong signal output for longer cable runs.